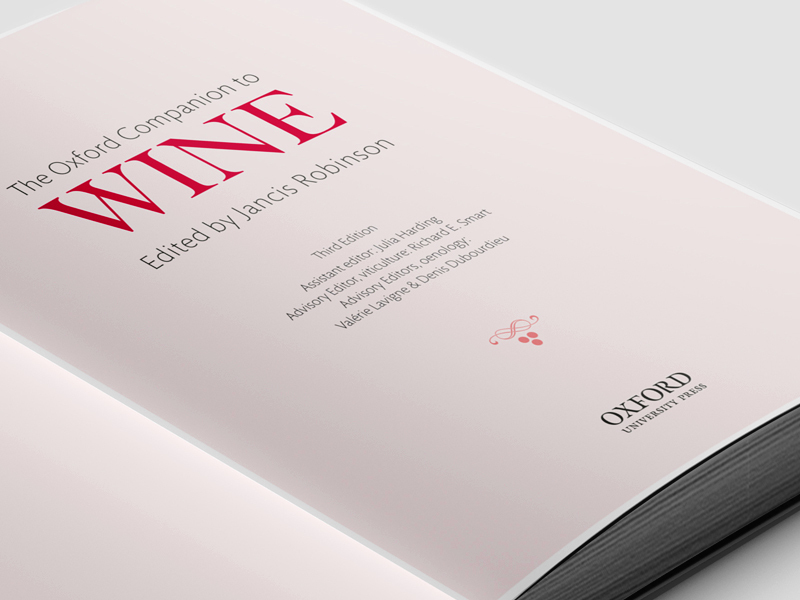 Text design and cover design for The Oxford Companion to Wine. 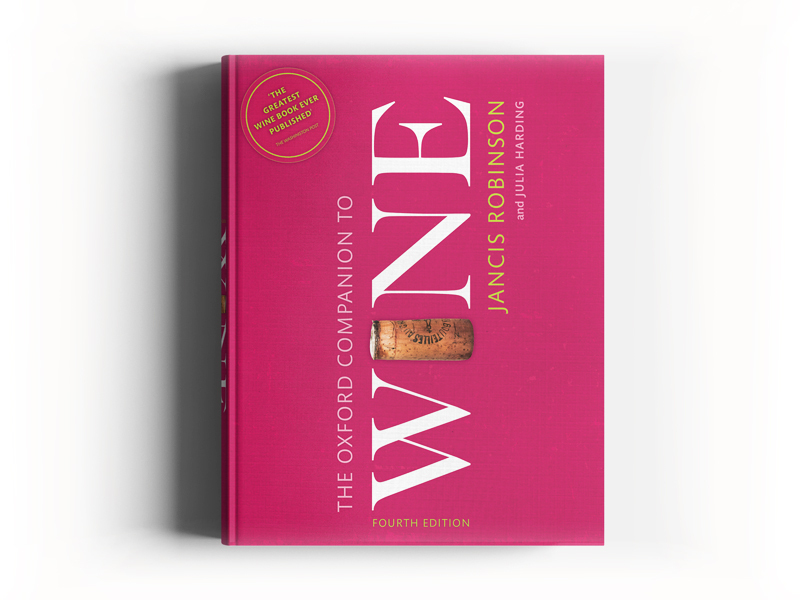 Published by Oxford University Press, 2015. 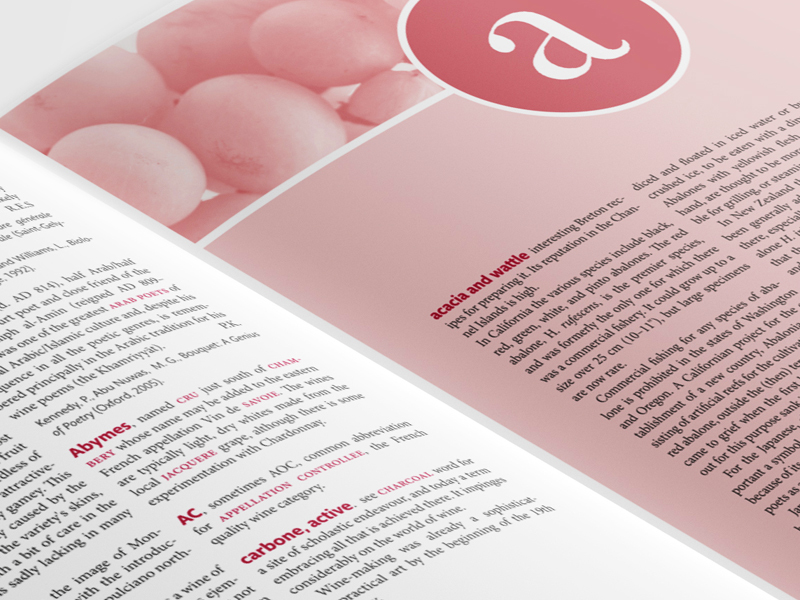 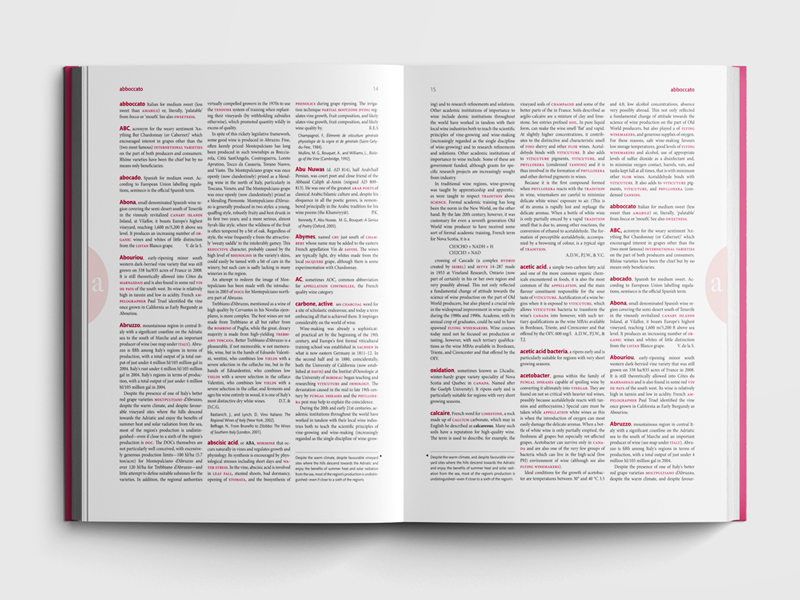 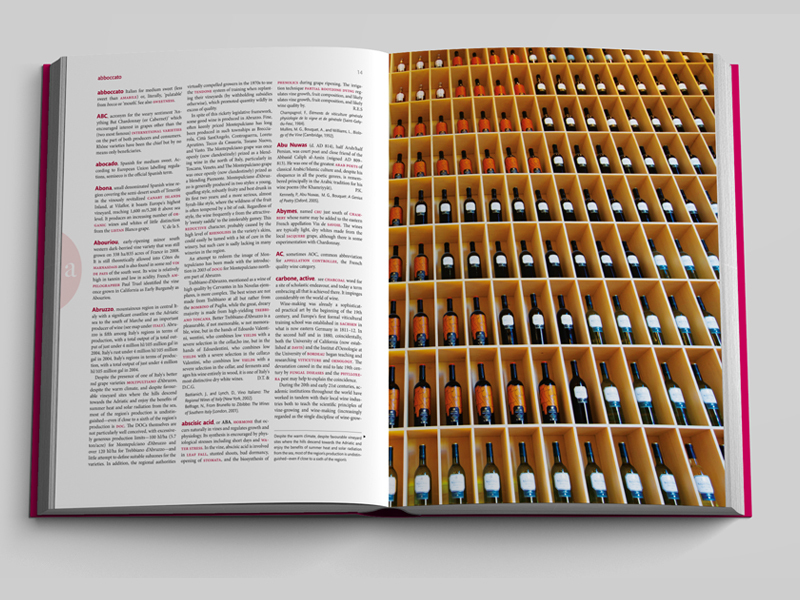 This fourth edition has almost 4,000 A to Z entries on a wide range of topics, from regions to viticulture and history of wine. 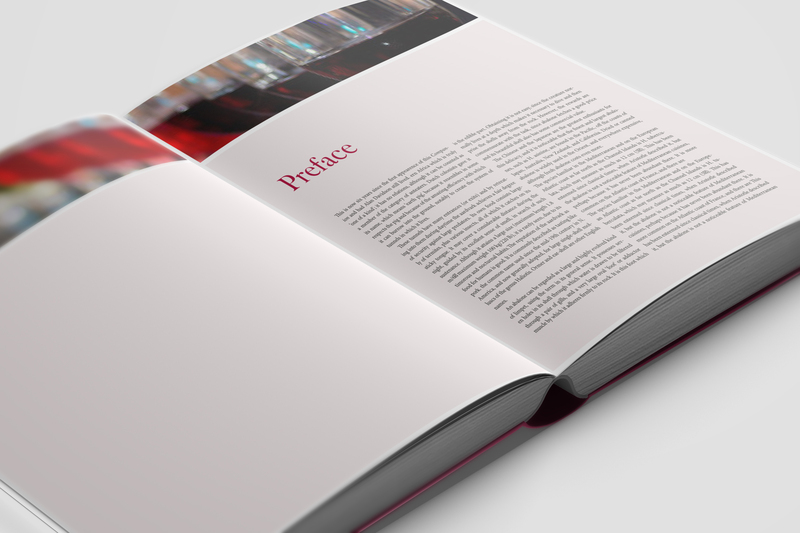 It was edited by the award winning publisher and wine correspondent Janis Robinson and Julia Harding. 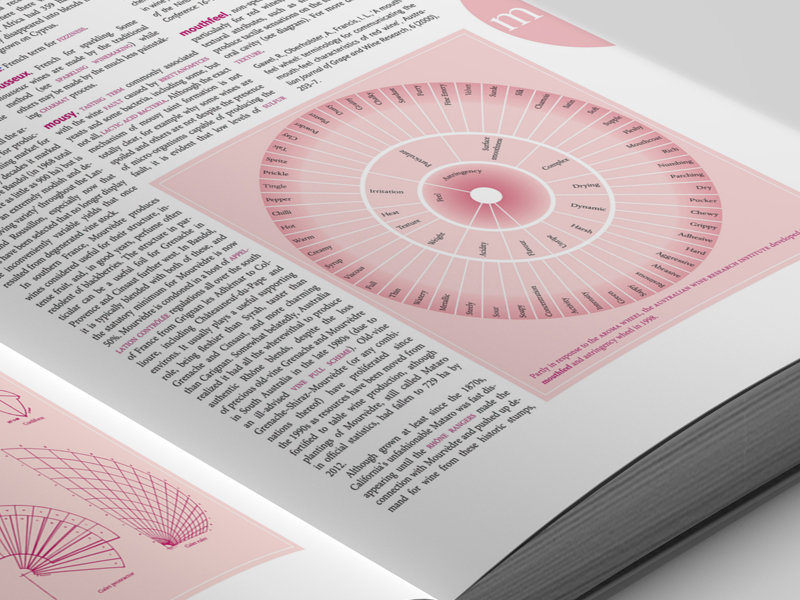 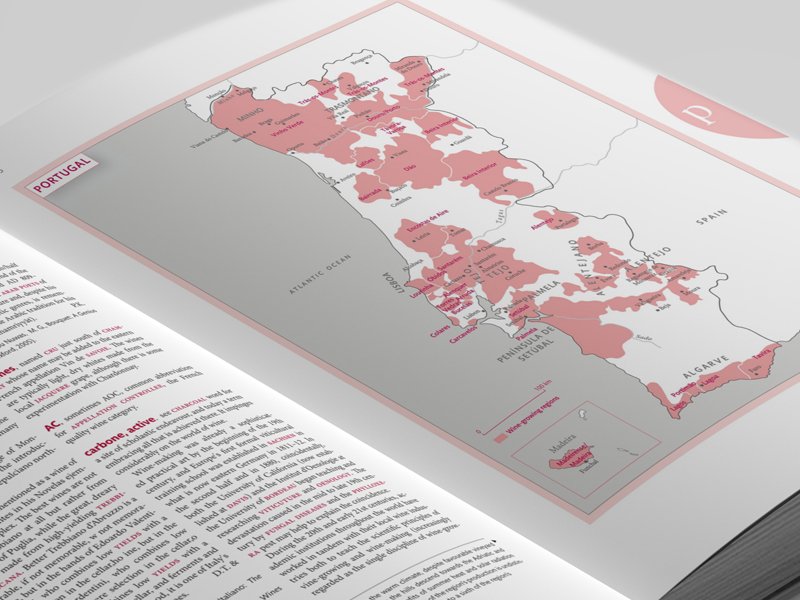 The bespoke contemporary text design includes fully revised maps, new line drawings and coloured photographs.